Almonds are my favorite nuts not just for the nutritional value but for the versatility they have in blending in with any kinds of flavours. I usually make almond butter at home sometimes, not to replace the dairy butter but to bring some variety in flavors, to be added to the soups I make sometimes. 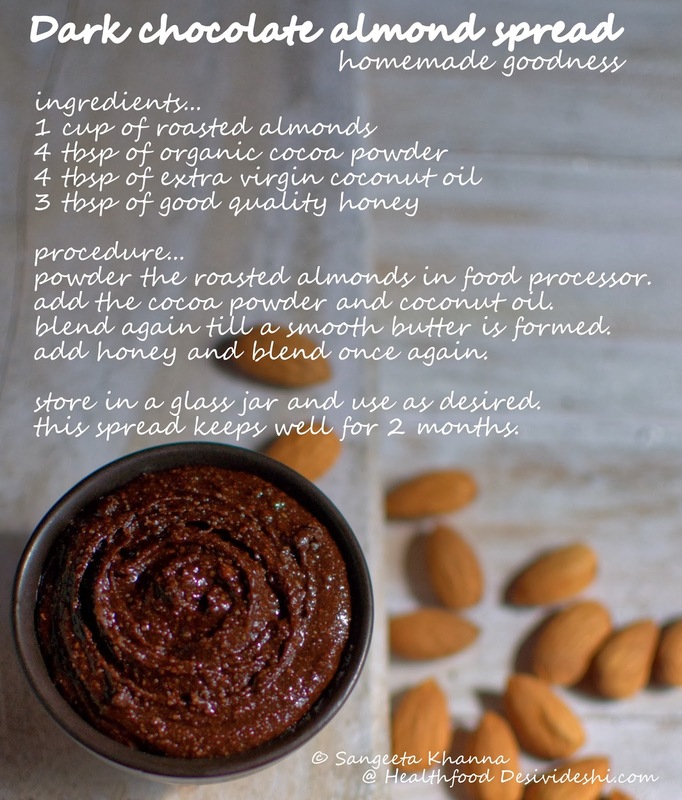 This time I saved half of the roasted almonds and made this honey sweetened dark chocolate spread for the husband. He is the one who needs some dessert in a small serving and this dark chocolate almonds spread with a slice of frozen banana or as it is. 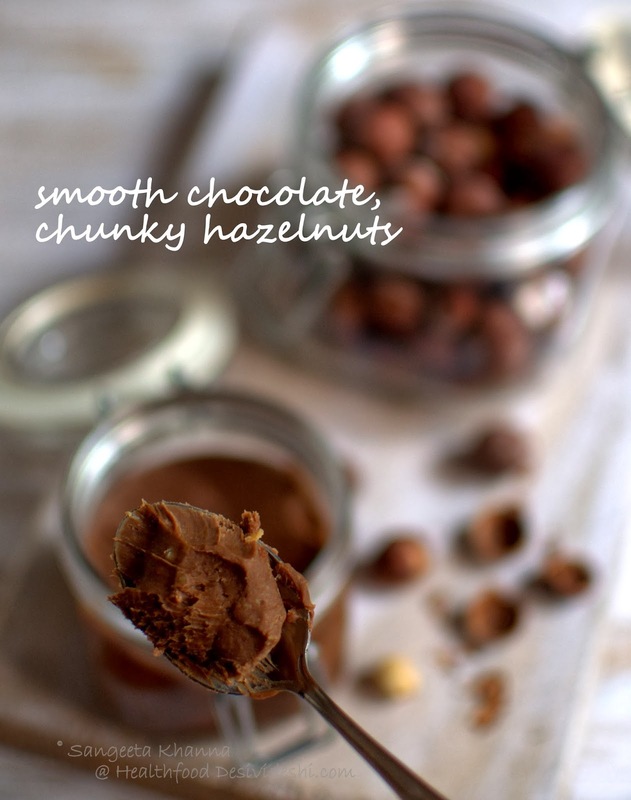 This spread becomes hard in Indian winters to be moulded like a truffle and I really did that for the husband. 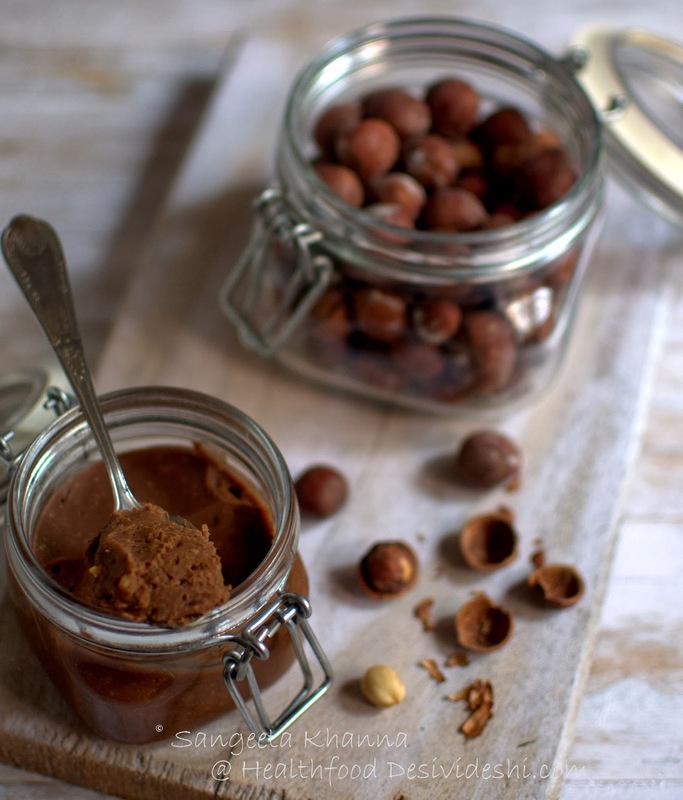 I had made another milk chocolate and hazelnut spread earlier this month when Ruchira brought some nice hazelnuts from Islamabad. 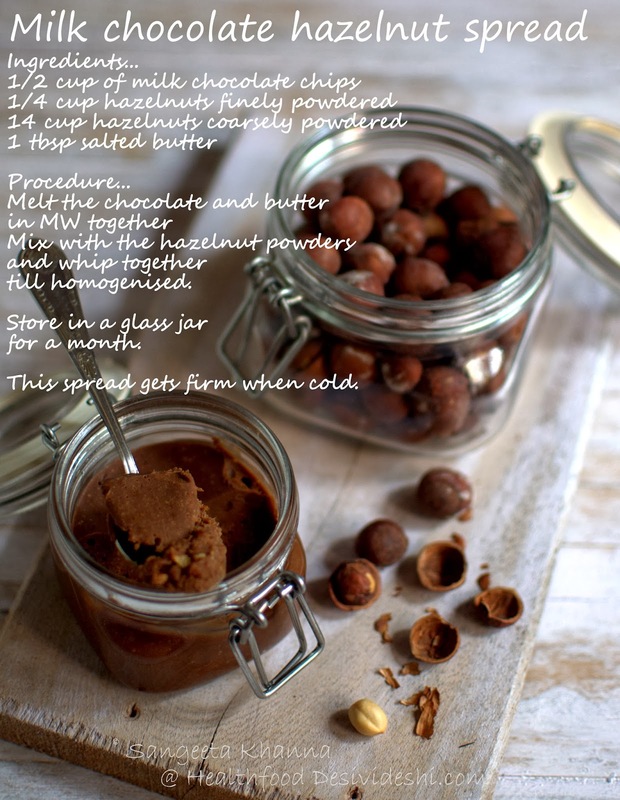 I have never liked hazelnuts much but they pair really well with chocolate. I tried them with dark and milk chocolate both, it was better with milk chocolate, blame it to the sweetness. The recipe is simple and takes just about 10 minutes. It can be used as a cake frosting if you wish. Or just have it like a dessert everyday after dinner as Arvind loves. One spoonful of sweetness. I used good quality Swiss chocolate for this spread so the taste is really good. Use any good quality chocolate you can lay your hands upon. Look how the chocolate makes this spread so rich. This spread is better than nutella any day. Make it to know better. Gorgeous. Love the very idea, the simple quick recipe, and love the simple homey ingredients. Question of course...any substitute for coconut oil? 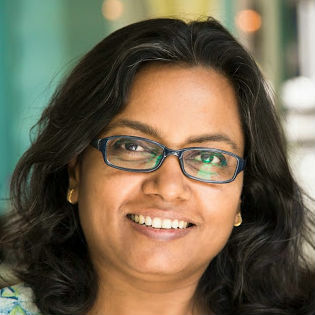 Deeba the best substitute to coconut oil will be ghee IMO, I find it good with chocolate and it stays semi solid at room temperature. Almond oil will be the next best. made it with home made butter. Its so good that I ate most of it from the mixie jar.